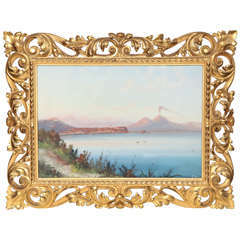 Late 19th century painted panel in a newer gold leaf frame featuring a pathway, mountains and trees. 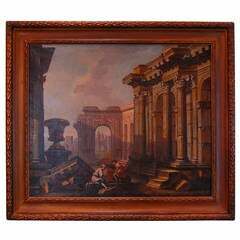 The stretcher measures 40.5 x 79.38.
the frame is nearly new and the canvas is in good condition. Frame is newer, but of fine quality. Stretcher size: 24 7/8" x 29 7/8". 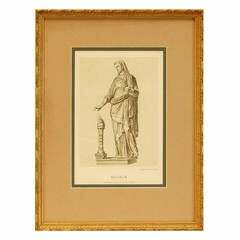 Framed German Lithograph by Anst. 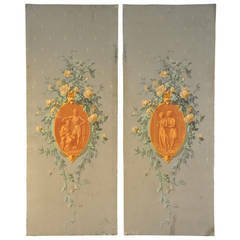 V. E. Hochdanz, printed by The Hoffmann Printing House of Stuttgart Germany, mid-19th century. 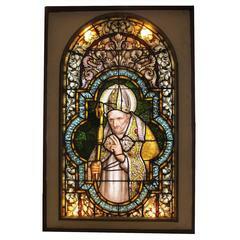 Visible print size: 7 1/8 x 10 5/8. 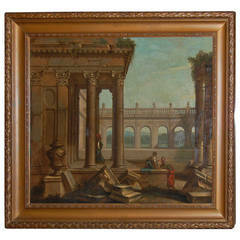 This is one of two identically framed 19th century oil paintings of Italian architectural ruins, stretcher size: 25" x 30". 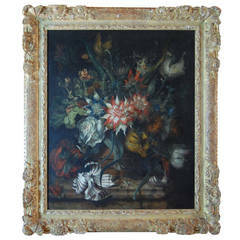 There is no signature evident. 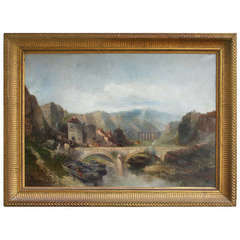 19th century gouache Italian of vesuvius in a birch frame.